From my experience, chills are very common, especially for meditation practitioners . Many meditators have experienced a cold chills during meditation, even when the temperature isn’t that badly cold. For those who have experienced this and wonder what could be a possible cause for this. I suggest an esoteric explanation. You are welcome to give your point of view too. What happens when you lose heat? You get cold. The physical body reacts to that loss of heat by shivering, skin hair stands, or goose pimples. The goose pimples means that your body is trying to preserve some heat. Biologically, that’s all it is. What everybody knows is that, the body loss of heat can be caused from the external temperature, but what we forget is that the loss of heat can also be caused from the inside (from the soul). See, your physical body is in between 2 worlds: The visible and invisible world. So it is influenced not only by the outside temperature, but also from the inside temperature. Yes there is an inside temperature too. The different states of your soul is that inside temperature. I mean, your mood, your feelings are what make the inside temperature. And there are many degrees of temperature, from sadness, worries, anxiety, to joy, all those are different degrees and manifestations of the inside temperature. For example, one can say it is badly cold in you when you worried. Or spiritually hot in you when you are enjoying a peaceful, spiritual kind of music. Your physical body reacts not only to the physical temperature, but also does react to the inside temperature. 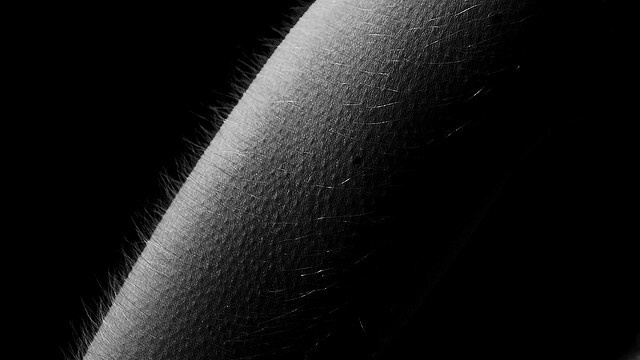 For example, haven’t you ever experienced some soft chills, some goose pimples, caused by a pleasant feeling while listening to a great piece of music? I personally happen to get that a lot and frequently towards music, wise spiritual text, spiritual images and symbols. I get a cold pleasant chill. Just like it happens to have goose bumps when we have a fearful, scary thought. This is quite clear that our inner temperature also affects our physical body temperature too. we should know that when we meditate, we do a lot of mind work. And when the mind is used to focus on one specific thought for a while, the soul gets cold. Depending on the type of thought we focus on, we could get bad cold or a good cold. What happens afterwards is that the cold temperature of your soul replicates on the physical body. Or if you want to see this in more details: Your whole human being is composed of thoughts, feelings and physical body. Those different parts of your being tend to copy each other. I mean the physical body copies the temperature of your feelings. And your feelings copy the temperature of your thoughts. By nature, thoughts are cold and Feelings are hot. When thoughts gets colder, feelings loses some heat. At that moment it will feel like the whole of your inner temperature (mood) is cold. If that inner temperature last or is intense, the physical body will then also try to copy the state of your feelings. The physical body will say “Well, I see that the feelings world I’m linked to, have lost some heat. 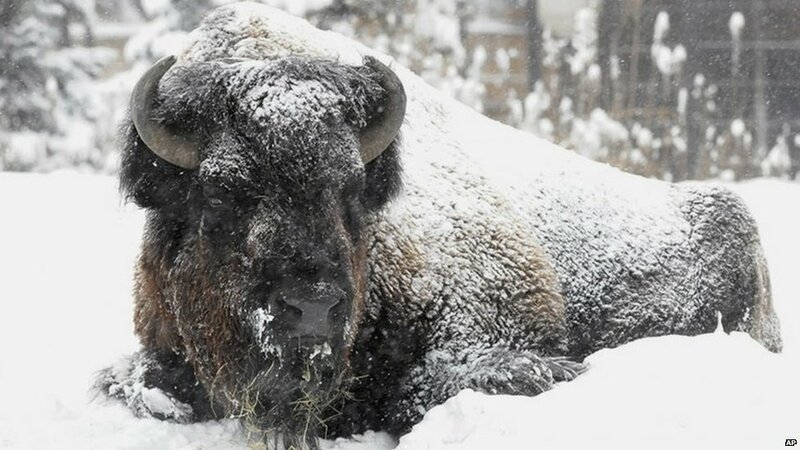 Ok, I will also try to do the same in my way”, and so the body heat decreases and the cold is felt. The chill caused from the inner temperature doesn’t last long, and it is usually sudden, almost like you don’t know when it startes. And It feels that, that chill happens on the surface of the body. It can be felt strongly but it will rarely shake you. Thoughts are very cold when they are spiritual. The pure but thoughtful mind can be compared to the north pole of planet earth. The impure mind but thoughtful can be compared to the south pole. We know how cold it gets in the north pole. There is a lot of ices and a lot of white. Not any being survives that temperature. That’s why we don’t meet as many kind of animals as there are in midway between the poles; I mean in the equator zone. The spiritual mind just like the north pole is very cold. That’s why it doesn’t allow earthly pleasure (wild animals of the equator). All earthly pleasure die in that kind of weather. See for yourself, when we want to indulge ourselves into earthly pleasure, we tend to suppress our logic, we must forget all moral laws to enjoy pleasure to the full. As soon as we start reasoning, we find it hard to experience the madness, since logic will make us feel guilty and stupid. It can be difficult to get angry soon after reading some logical reason of why not to get angry . Now imagine someone who is always thinking, reasoning about anything he/she is about to do. Hooo well, you will notice that he/she becomes a cold person. He/she will be very slow, he will have hesitations because he will live under so many principles. Yes my friends, Wisdom freezes anything not spiritual in you. Wisdom is the coldest world we could ever know. When you become wise, many wild animals (wrong desires) freezes in you. As long as you keep freezing yourself through meditation, those wild inner animals will become so inactive that they won't bother you anymore, they won't even manifest no more. Who regularly meditate this way, moves towards the north pole symbolically speaking. And feelings are the hottest when they are spiritual. From this point of view, it is clear that when we meditate, we become and ices in your thoughts. Now your feelings also copies that temperature, so they lose some heat. Our feeling world can be compared to the middle zone of planet earth, the equator. Where it is mostly hotter. That zone is the perfect condition for wild animals. In the same way, in our human heart, our feelings live many vices (wile animals), some good animals too, but mostly wild ones. When the mind (thoughts) is shut off for the a long time, the heart (feelings) starts to get hotter and hotter and wild animals come out. This is the kind of hot which hurts. And which is not so spiritual. Now I should point out that there’s another kind of hot temperature which is linked to the Divine world. It is the kind of high temperature which doesn’t cause a global warming, which doesn’t remove the ices of the north pole symbolically speaking. That means there is a high hot temperature, a kind of pleasure which can coexist with the reasoning, with wisdom, with the ice temperature. This is when you feel such a joy doing something which is based on spiritual principles. This explains why you can feel so much joy in helping people, in learning the spiritual knowledge, you feel joy in doing spiritual exercises, joy in listening or singing lifting music, there is joy in reading, in looking at beauty, in doing something divine. Those are the kind of pleasure (rather called joy) which doesn’t decrease your intelligence and your wisdom. When meditation can produce a cold temperature, chants can produce a great amount of heat. The simple action of talking a lot of crap for some time can make you feel hot. During a prayer, your soul becomes very hot (a good high temperature). While when you are meditating, your soul becomes very cold. People who meditate are cold people, they aim for wisdom. And those who pray a lot are hot people, they aim for love, and virtues. Words or sounds increases hot . One can increase his patience, his generosity through words, or through sounds. You will noticed that great meditators love the top of the mountains. It can get very cold in the mountain because the top of a mountain represents the highest mind of earth. Meditating in the mountain can become easy and intense, Because that's where our inner cold merges with the outside cold. And with prayers, mantras, vocalizations, some rare spiritual people are able to produce a lot of body heat to resist to high cold temperature. Finally it also should be added, that During meditation, many other things may happen. Your soul may change vibrations (cold) and put you in contact with certain spirits of the nature which correspond to your soul vibrations. So while you are meditating, one or many spiritual beings can gather around to assist you. Your soul could get warmer or colder depending on the type of spiritual being you are surrounded by. As code of guidance, just remember that in general beings of love will cause an inner warm temperature. While beings of wisdom will cause an inner cold temperature. The intensity of those inner temperature can be replicated on your physical body too. I personally relate with the analogies given in this post, which is why I find them to be profoundly insightful. I have also experienced these chilling colds during my meditation practices for several times (in fact, for most of the time), and it always seemed to baffle me how come I was feeling so cold even in a hot sunny weather! But with the explanations provided in this post, I now realize that that problem may be due to the intense mental focus I experience during meditation, which leaves absolutely no room for distractions or emotional relaxation. This can get very tedious sometimes, especially if it is done over and over. It is for this reason why I also support the idea that it is good for all intense meditators to occasionally take a few moments to relax and take it easy! Don't be so harsh on yourself by incessantly pounding your mind with sharp thoughts and deliberately depriving yourself of all kinds of pleasures. You may just end up feeling lifeless despite all your lofty ideals. After all, what is better for you: living life or thinking about life? Now, as far as the relationship between "inner and outer temperatures" are concerned, I tend to believe that this may also apply in the reverse. What I mean is that the outer temperature (i.e. the outside weather) may also affect the inner tempereature (i.e. the mood), although to a very limited degree. The reason I am saying this is because I often find my feeling capacity greatly diminished during winter seasons than say during summers. Also, I find it extremely difficult to maintain a thoughtful mindset during hot seasons than I do during cold seasons. This is what I personally experience, and I have strong suspicions that I may not be the only one feeling this way. This dynamic can even be observed at work in various customs and traditions of people around the globe. For instance, natives of northern hemispheres (especially those in the Scandinavia where it is almost always cold) tend to be very logical minded, but they often feel emotionally very cold to an outsider. Also, when living with the natives of southern hemispheres (especially those around the equator where it is almost always hot), one can't help feeling their emotional vibrancy and vitality, although they tend to be a bit more lacking in term of intellectual productivity. So it seems to makes sense to me in arguing that there must be some kind of relationship between temperature and the mood of people (both individually and collectively). And if the outer temperature can have such an effect on us, so much more can the inner temperature. Finally, it would be very unfortunate and counterproductive for someone to use the idea in this topic as a basis for drawing negative clichés about other people instead of viewing it only as a tip for understanding and better relating with individuals or cultures of a different polarity than their own. This is not some unchangeable law written in stone, but is simply a general observation that is also subjected to exceptions like any rule, and can be overriden by other more powerful influences. Don't take this the wrong way, but after reading this post carefully, It is now clear to me why most African countries in hot weather move slow in development. It is so damn hot that there is no condition for thinking. For me it is now clear, the skin color is not what differentiates us. It is the weather. (02-10-2015, 11:57 PM)noman Wrote: Interesting topic. Hahaha Funny as it may sound, I would agree with you norman on that thought. Like John_ly, I also have observed the outer temperature affecting the inner temperature. The simple example is to see how people act during the day. When the sun rises, people wake up and starts their activities. as the suns rises in the sky (afternoon) people become super active. At night all activities slows down, then late at night, they all become inactive. Apparently it is not the sun light with keeps them active, but rather the heat. Because you can notice that during hot nights, people tend to remain as active as in the day. While even when there is light but cold during the day, people tend to become very inactive, most of them would prefer to stay in bed. Related things affects each other. When it is hot, related organs in the body also tend to become active (the heart). And when it is cold, the brain also tends to become active. Just like what happens between the moon faces and the water of planet earth. Since they are related, the water of earth and of the human body rises as the moon waxes. The equator zones of planet earth which represents the center of our planet is hot while its extremities, I mean the poles are cold places. Everything which lives around hot places tend to be super active, even animals get wild. While everything around the cold tend to be calm and inactive. But because we've seen dumb people rise from perfect condition, or the opposite, it means that there are always exceptions to the rules. (02-10-2015, 11:57 PM)noman Wrote: Don't take this the wrong way, but after reading this post carefully, It is now clear to me why most African countries in hot weather move slow in development. It is so damn hot that there is no condition for thinking. Agreed. But still, we may need to mitigate this viewpoint by requesting a redefinition of the concept of development. We must honestly ask ourselves whether the kind of lifestyle now witnessed in modern countries, in which human beings are turned into worker drones, techno-addicts and soulless consumer zombies who are massively “incarcerated” in anonymous concrete jungles (i.e. the metropolitan cities), whether the kind of world produced by that lifestyle truly deserves to be referred to as "developed" at all. If we are fully satisfied by that kind of lifestyle and consider it as an apex of development, then that would be quite indicative about the nature of our consciousnesses. As far as the difference among people is concerned, like noman you have pointed out, it is better to view it not as a fundamental difference in genetic potential among the races (because this is equally distributed among all the races), but rather as a simple matter of where people put their priorities in order to optimize their collective survival. For instance, when a group of people are exposed to hostile environmental conditions, this will force them to seek innovative ways of adapting in order to survive in that environment, which is something they wouldn’t be concerned about if they were blissfully living in a paradisiacal “garden of Eden”. And naturally, their mechanism of adaptation will gradually be transmitted to future generations until it becomes a part of their cultural heritage that manifests in their tendencies and predispositions. The problem about conveying esoteric information such as this one is that you will never know how it will be interpreted. Some may fall into the temptation of using the information to fuel racial, tribal or ethnic prejudices by painting members of other groups with one simple brush and elect themselves as the special specimen (or the “chosen ones” like so many have pretended). This has been the cause of so much troubles and suffering in this world, and it is precisely the reason why some information are better left untold because they risk being misunderstood or twisted by an undisciplined/uninitiated audience. But if a person can resist that temptation by mitigating his or her own preconceived opinions, then that person will find that it makes perfect sense to have different kinds of people in this world who have different polarities, personalities and predispositions. When this is understood, then the person will no longer see the diversity among people as a threat or a problem, but rather an asset that it is. Any soul that wishes to learn from a different polarity than the one it is currently working on can always have the chance to reincarnate in a different gender, culture or race that can better offer the opportunities for such a learning. Many prefer to learn slowly from one polarity per lifetime, while others choose to learn from both polarities simultaneously. We live in a world that over-stresses the importance of specialisation. To look normal in this world, you are expected to specialize only in one domain of life and stay almost totally ignorant in all the others (this can even be said to be a robotisation of people! ). Personally, I prefer being a generalist than a specialist. I believe that it is even possible for someone to be a pure mathematician (i.e. a left brain activity) and still love to write or sing songs (i.e. a right brain activity), or to be a spiritual person and still get directly or indirectly involved in matters of society. Similarly, there is no good reason why a person should only learn one language, religion, culture, or profession for his/her entire life and settle for it alone. To gain a broader knowledge base in life, one must be willing to learn simultaneously from as many sources as possible, to reflect from as many perspectives as possible, and to accept as many disciplines as one can handle.